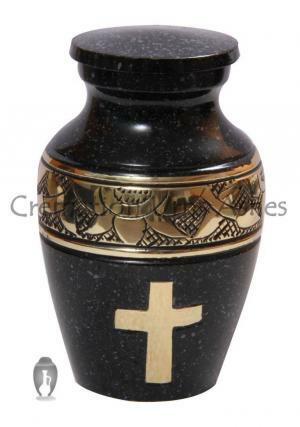 Small keepsake urn for cremation ashes with a large cross in reflecting gold decorated at the centre and covered in black marble finish. 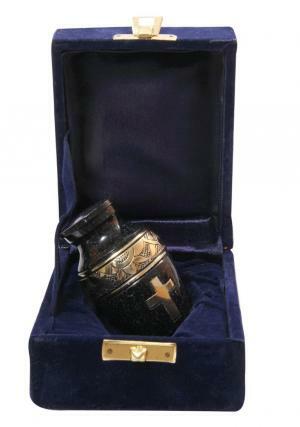 The golden cross engraved black keepsake urn is brassed with band around in flowers and leaves decorated in brushed gold. 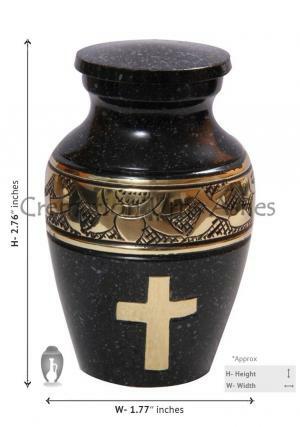 The black polish is presented on the solid brass metal urn engraved by skilled professionals. 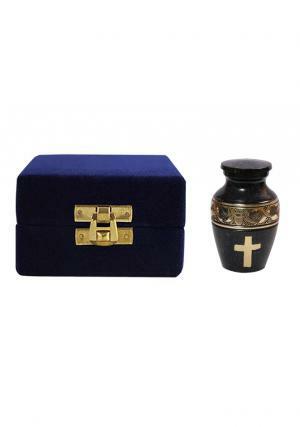 The urn has a threaded lid on the top used to secure the ashes in the cremation urn and for an easy open to insert ashes. 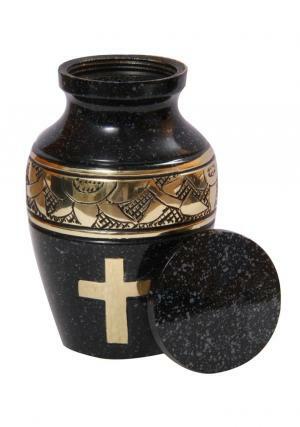 The amount of ash measured to store in the urn is 3 cubic inches to an approximation of 3 tablespoons. 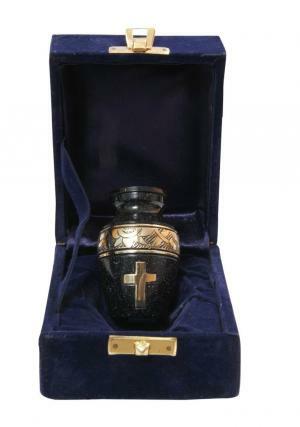 The mini keepsake memorial urn weighs around 0.14 Kg with 2.76” inches tall and 1.77” inches of width easy to store in a small amount of space or to carry personally.